More people than ever are now ‘Growing Their Own’ vegetables. The rise in people getting involved is unsurprising due to the satisfaction the customer gets from picking and eating the fresh and tasty vegetables grown in their own home. Not only is this a cost-effective way of getting your vegetables, but it’s also a great little hobby that many people take pride in. 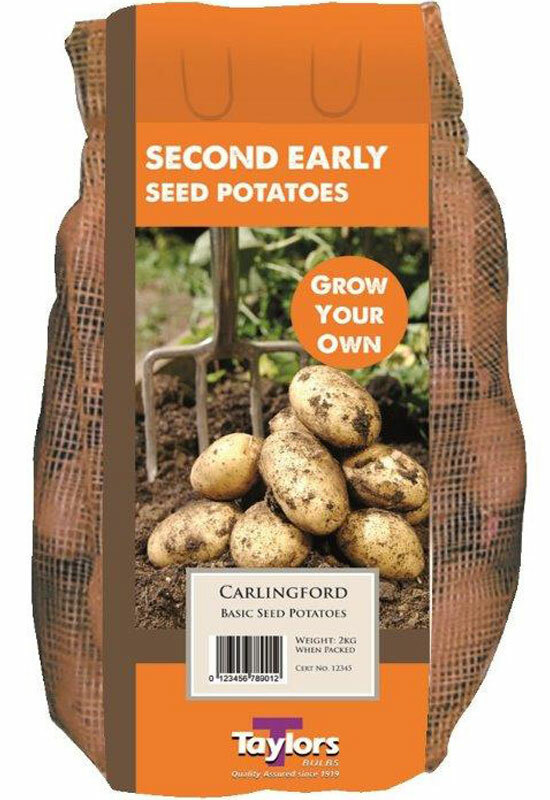 Seed potato packs for planting late July/Early August to grow new potatoes for late Autumn/Christmas. Our best selling Seed Potato Taster Pack range contains a selection of new and old varieties, packed with full colour pre-pack card including selling points and instructions. The Taster Pack is ideal for the gardener requiring smaller quantities and a range of varieties. Choose from over 40 varieties. 2kg carry home packs of seed potatoes for spring planting. Our range of over 50 varieties contains First and Second Early, Main Crop and Super Blight resistant seed potatoes. 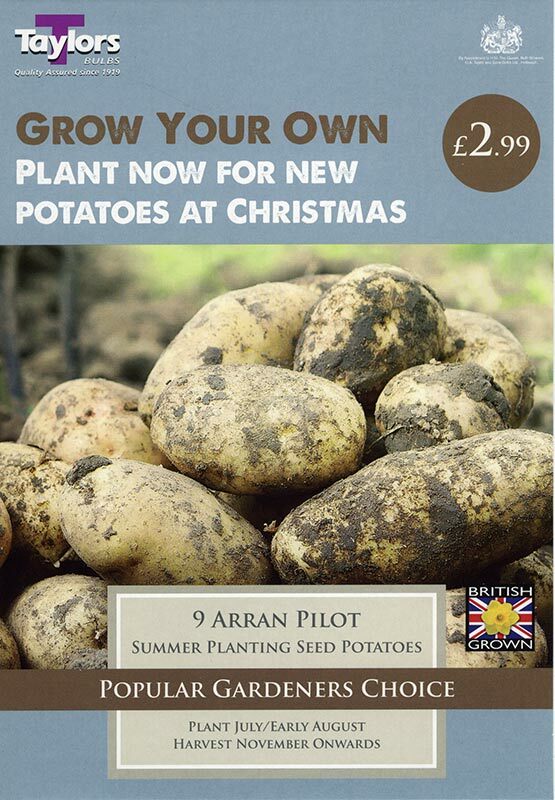 December delivery is available so customers wishing to capture early sales from the keenest gardeners. 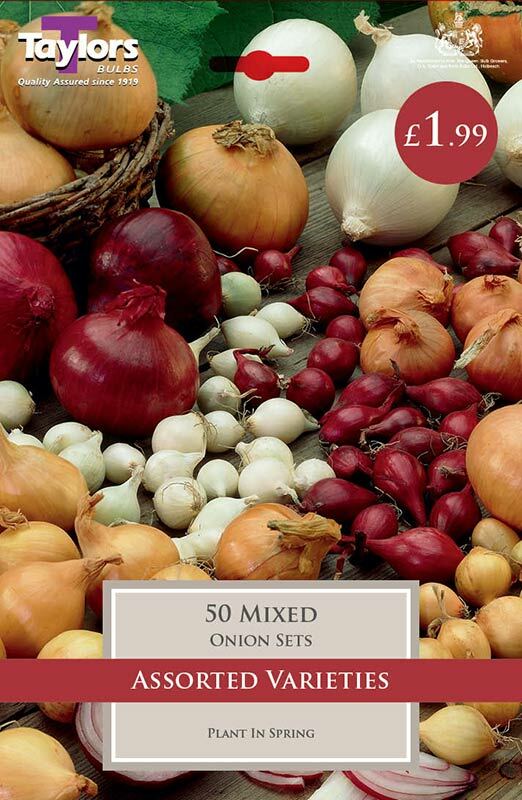 Hardy over-wintering varieties of vegetables and onions are valuable additions to your range in late Autumn. 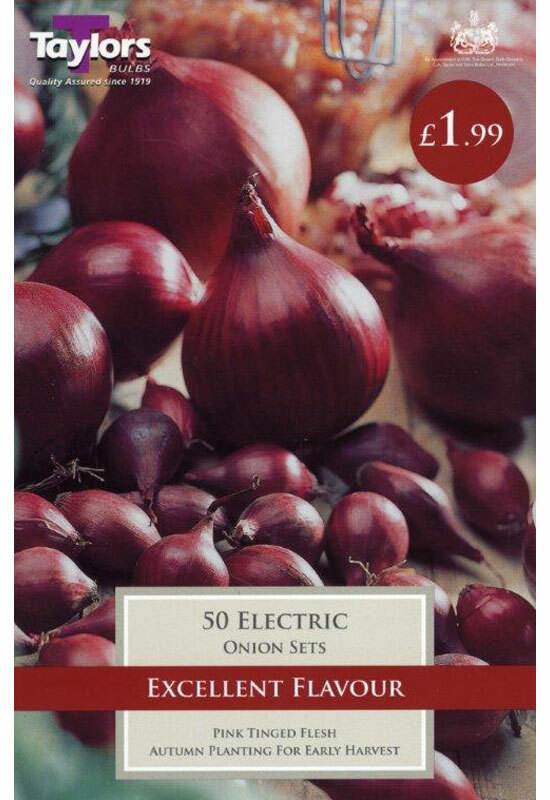 Our large range of spring planting vegetables contains 10 different onion sets (plus value packs), 6 shallots (plus value packs), French shallots, 5 different garlic varieties, 3 Asparagus, 4 Rhubarb, Jerusalem Artichoke, Horseradish, Raspberries, Strawberries and Ullucus. Ideal for the keenest of “Grow Your Owners. 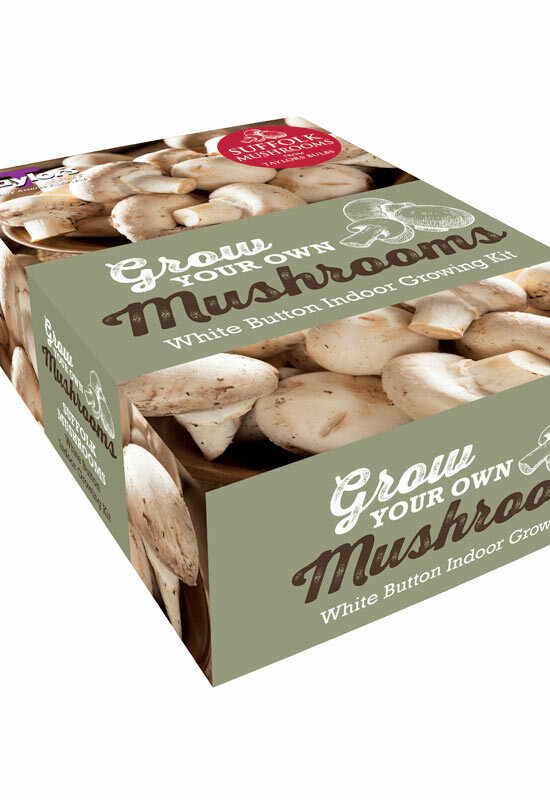 Grow your own Mushroom Kits featuring quality Suffolk mushroom compost. White and Brown mushroom kits available in 2 sizes. Available in Spring and Autumn, our range of grow your own kits includes chillies, tomatoes, peppers and herbs. 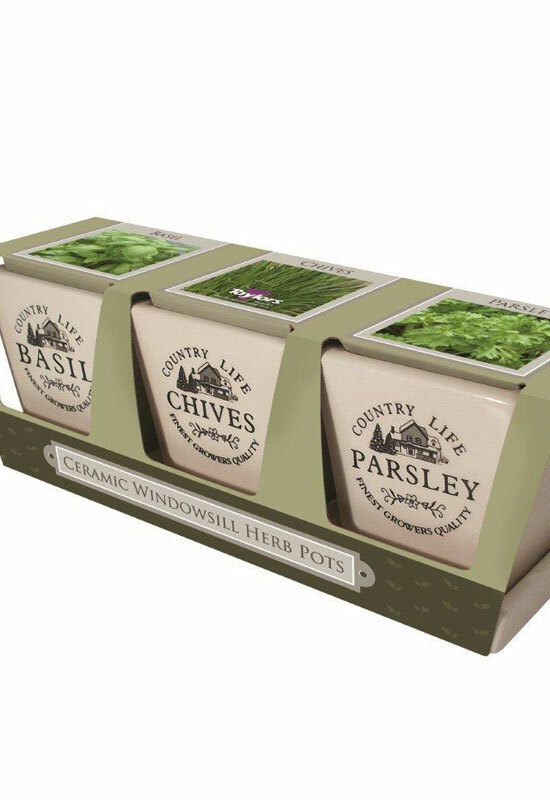 With proven best sellers such as our ever popular Windowsill Herb Pots, this range is perfect for adding incremental sales for both Christmas and spring. Patio Growing Kits aimed at gardeners with limited space or who want to extend their vegetable patch onto the patio. 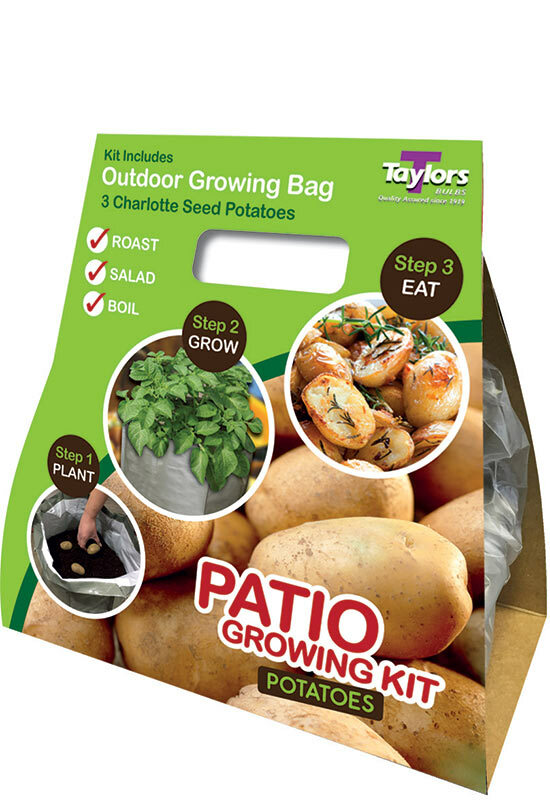 Each kit contains 1 patio growing bag and vegetable planting material. 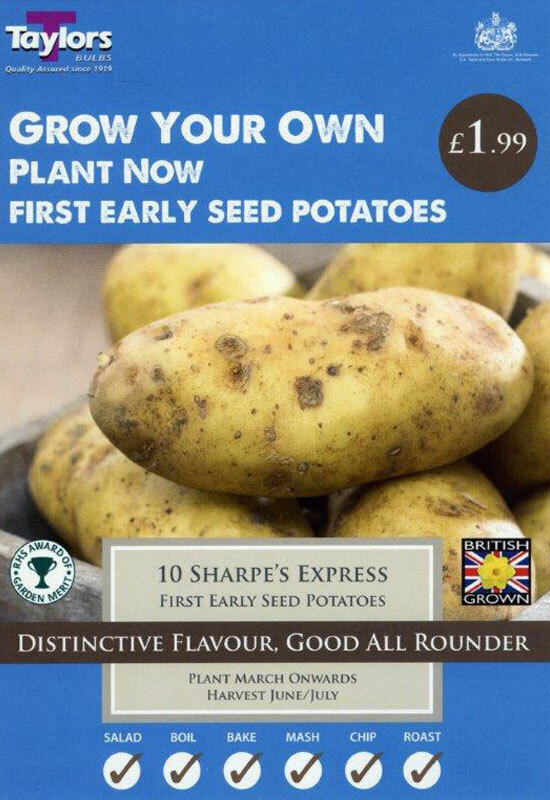 Choose from Seed potatoes Charlotte or Swift or Garlic and Shallots.